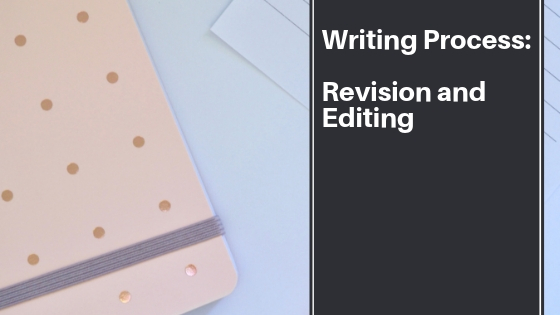 First things first — revision and editing are not the same. Revision is where you change the content of your writing. You move text around, add in text or omit text. Editing, on the other hand, is where you check your document for grammatical and punctuation errors. It includes clearing your paper of unnecessary words or phrases. These words may be redundant or overstate text that explains a point much better. Before you start any revision or editing, let your paper sit. Ignore it for at least a week. Take time to enjoy a hobby, watch a favorite television show or read a book. Go fishing or go swimming. Come back to your paper with fresh eyes and a fresh mind. Still, however, don’t start the revision process. Rather, have your computer read your document to you. Most computers have a way to enable audible reading. Take advantage of this. Our eyes can catch errors, but hearing how words are pronounced catches three times as many errors. You can stop and start the audible reading when you spot an error, correct it and move on. Compare your writing to your list of guidelines. Publishers and instructors have precise guidelines they desire for assignments. It may be the writing style, the topic, or even typography in which the writer uses. Make sure your writing matches all of these. If not, go back and revise until it does. If you’re writing for yourself, use the guidelines which you have set for yourself. Each writer has these; think about yours if you have yet to develop them. Next, go back to your pile of research. Double and triple check each place in your document where you applied your research. Make sure it’s cited correctly in the chapter and at the end of the book. You don’t want to plagiarize anyone else’s hard work. If you’re using a direct quote from your research—a quote that’s word-for-word from your research—this should be in double quotation marks. It’s usually preceded by According to when referring to your research. Make sure to state each point well, elaborating where you need more information. Try to avoid fluff if you can; this only slows down your writing. Also, check your sentence structure. Concise writing has sentences that vary in length. Include transitions in some sentences. In others, use conjunctions or semicolons. This makes your writing flow more consistently. It gives it a smoother read. The reader can easily transition from one thought to the next without gaps in your writing. If writers didn’t use connectors (transitions and conjunctions), writing would sound choppy and rough. How often would we give up on an author and never read them again? Finally, read through your manuscript one last time. This ensures that you catch any error that may be hiding within it. All writers to some degree, however, are limited by the limitation of liability. This is the author’s skill set based on their academic book knowledge and experience within their industry. While you may catch most errors, a proofreader that has a higher degree and a long writing career may catch more. Trust a team of at least three professional proofreaders to read it over after you have finished polishing it. Once they are finished, make the changes. Your manuscript is now nearing the publication phase. You’re almost done. Can you see the finish line? Let’s get you there! Previous: Previous post: Primary Research: What is it? When do I use it?